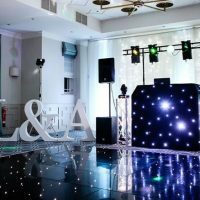 DJ2K are a respected and award winning mobile disco entertainment company offering personalised DJ packages. 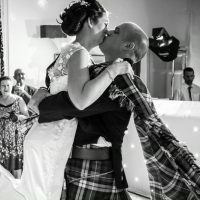 They have a dedicated wedding team, many of whom perform over 100+ celebrations a year. Founded by a group of cutting edge DJ’s, their passion, professionalism and skill is reflected in the quality services they provide. 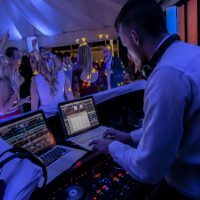 Given that your wedding is possibly one of the most important events of your life, it is vital to have confidence in the DJ. Especially as he or she will be entertaining your guests for several hours and often late into the night! 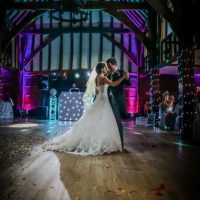 As winners of the best wedding DJs at the Wedding Industry Awards, and Top 5 Worldwide at the Wedding Expert Awards you are guaranteed a memorable premium service. They currently cover a large part of the South West of England including – London, Surrey, Hampshire, Buckinghamshire, Berkshire, Kent, Essex, Brighton and Hove and South East England. Within the next 4 years they plan to extend this cover to the whole of the UK, having had a large number of enquiries from outside of their current catchment.